The application of tread plate aluminum is widely in people’s life, used as building materials for the construction industry is a big change. It is with safety, high fire rating, high security operation, light weight, easy installation, good quality in the process of using. At present, the common seen aluminum tread plate used are five bars series and diamond series, especially five bars aluminum tread plate and aluminum diamond plate. We all know the aluminum tread plate have many series both in the alloy series and the patterns, thus, the application changes. 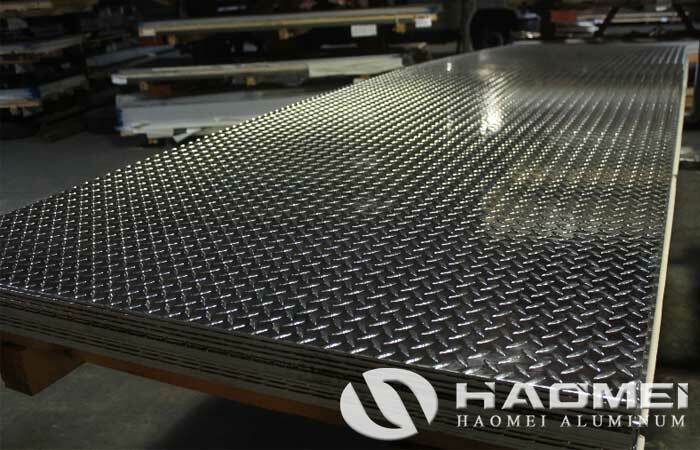 Tread plate aluminum is used in packaging, flooring, refrigerator, car, boat, ship bilge slippery, the grade is generally 1060(H24, 3.0mm thickness), the series aluminum alloy tread plate do not need to be suspended, not bearing, so there is no need to choose high thickness, high hardness, aluminum checker sheet, common aluminum alloy can generally meet the requirement, the price is relatively low, such aluminum tread plate has more extensive application. And for special needs (for example, the relatively high, need to be hung up, in the high corrosion degree, or maybe easy to be rust), it is recommended to choose 5052 or 6061 anti rust and anti skid aluminum tread plates. The series of anti-skid aluminum plates have excellent functions of rust protection and corrosion resistance.